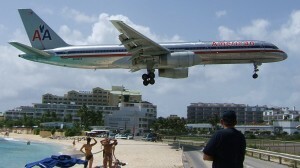 Plane spotting on Maho Beach at St Maarten also known as St Martin. This beautiful island is home to one of the best places in the world for plane spotting, Princess Juliana International Airport. 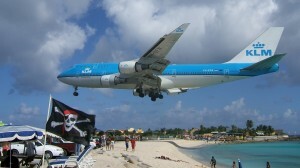 Most of these pictures were taken from the Sunset Beach Bar. The bar has a large surfboard planted in the sand which is used to post the arrival times for the 747’s and other large airliners arriving that day. 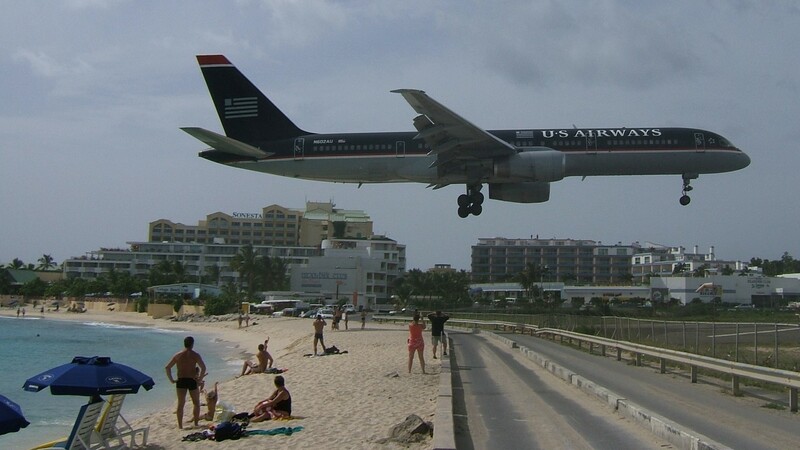 The road between the beach and the runway is sunken about two feet but even so, locals using the road check for landing aircraft before crossing. tourist can often be seen clinging to the fence enduring the jet blast from departing aircraft. It makes for a nice experience, have a beer and wait for the next photo opportunity. This entry was posted in Uncategorized and tagged 747, landing, maho beach, Princess Juliana International Airport, saint martin, sint martin, St Maarten, st martin, sunset beach bar, sxm, tncm on December 4, 2011 by James Sorsby.